This unique vessel sink was cast then polished on the inside. Unique Decorative Concrete in Ionia, MI. Using manufactured sinks in the kitchen, undermounts look best with concrete countertops. Trueform Concrete in Flanders, NJ. This sink was made with a plastic mold. enCounter. 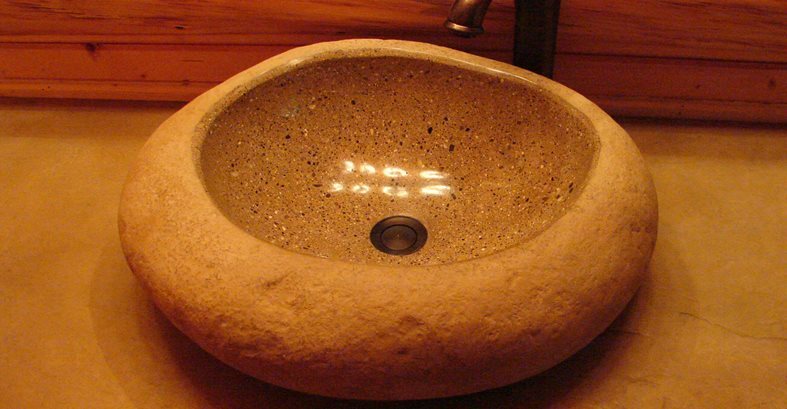 Watch how molds are used to create custom integral sinks in concrete countertops. A convenient way to form a sink is to buy a mold. "What it does is fast-forward the contractor past the tedious stuff to where he can display his artistic abilities," said Mike Eastergard with PreiTech, a custom mold maker. Standard molds are available from a number of concrete mold manufacturers. Each of these companies has several different models from trendy styles like a wave sink to more conventional ovals. Some also have molds to make vessel sinks (see Bathroom Products Design Catalog). The other option is to simply use a knockout mold to create an opening for a stainless steel or porcelain sink. 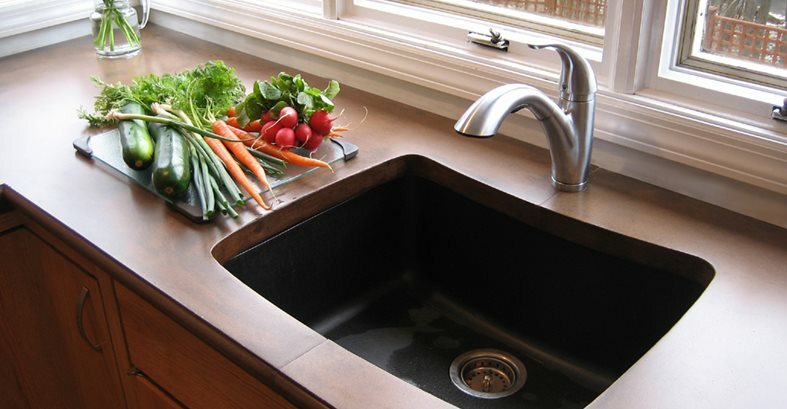 Most countertop experts shy away from integral concrete sinks as a primary kitchen sink. "I think that integral sinks are ideal for bathrooms and not as ideal for your kitchen sink where you have food and pots and pans," said Susan Andrews at Buddy Rhodes Design. "Concrete stains more easily than stainless and it can chip." Undermount sinks are typically the best match with a concrete countertop. You can make your own knockout or go to CreteMolds.com, which has rubber knockout forms for faucets and drains. They also offer mold rubber for creating your own knockouts. This mold was used to make this sink. River Alloy Designs in Cayucos, CA. The other advantage of manufactured molds is that they are durable enough for many uses. Most of these sink molds are made of fiberglass which is virtually indestructible. Buddy Rhodes has molds in his shop that have been used over 100 times. 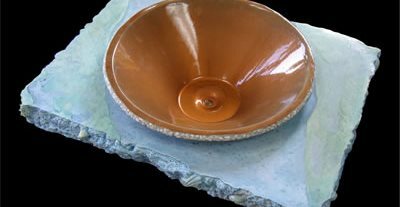 Prices for fiberglass sink molds are in the range of $500 each—a little more or less depending on the complexity. CreteMold's reusable fiberglass molds sell for an average of just over $200 each. One unusual source of countertop molds is Doorbell Expressions. Their main line of products is doorbells and mail boxes but they've branched out into products for concrete countertops, including fiberglass drainboard molds, edge molds, and sink molds (from Tsunami Countertops). Prices for their drainboard molds are around $200. Slot Drain Ramp Sink Mold Made with automotive grade gelcoat finish for unlimited uses! Rectangle Sink Mold Internally reinforced. Ships in 2 to 3 business days.